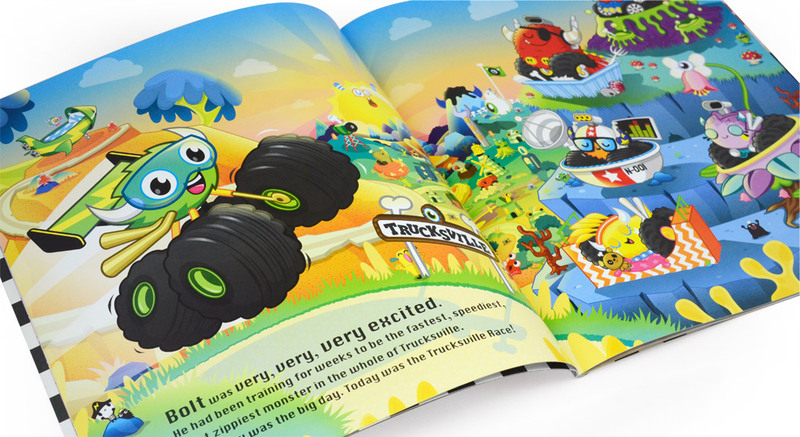 » Jon Hinton and TADO's "Monster Trucks: The Big Race" Children's Book! 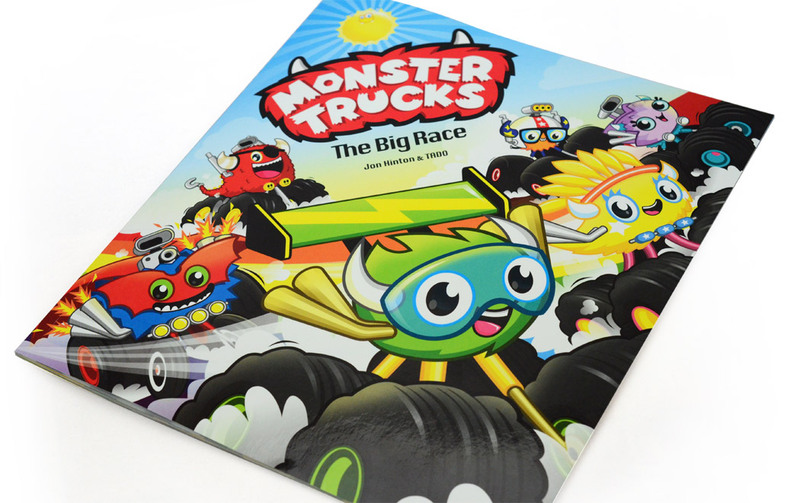 Written by their super-talented friend Jon Hinton, the dynamic artist duo of TADO makes the leap into children's literature with the "Monster Trucks: The Big Race" picture book. 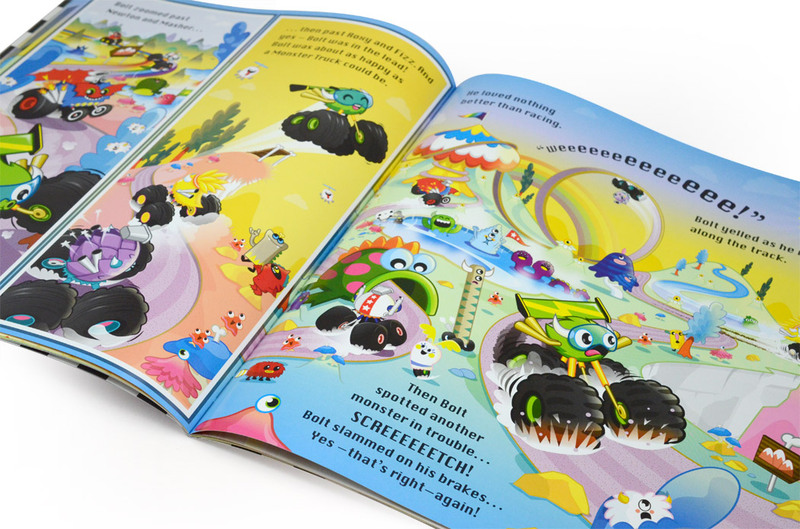 The first in a series of stories surrounding the characters of Bolt, Chunk, Roxy, Fizz, Newton, and Masher, these monstrous vehicles rev off into exciting adventures filled with fun, laughter, and a few spills. Published by Scholastic Children's Books, this book is available for pre-order now on Amazon for $8.92 and will ship on July 3rd, 2014. Plus watch out for these crazy trucks to return in their second story, "The City Trophy," later this summer! I don't think I need to explain why Coarse Toys have garnered a cult following. And the German duo's illustrations are just as alluring as their toys. Remember The Pop Up Art Book from Poposition? You might remember Hyrule Historia, which collected the development history and lore of Nintendo's The Legend of Zelda series. I pass on this because the coverage for the pre-3D era was pretty light.